Oakland has a strong legacy of environmental leadership, and has been recognized as a top ten green and sustainable U.S. city eight times in the last several years, including recently being ranked 4th among large U.S. cities by both the Natural Resources Defense Council and the Mother Nature Network. Below are highlights of recent awards. Also view highlights of Oakland's sustainability goals and achievements. Northern California APWA 2013 Sustainability Practices Award – In February 2014, The Oakland Adopt a Spot Program received the 2013 Sustainability Practices Award from the Northern California Chapter of the American Public Works Association. 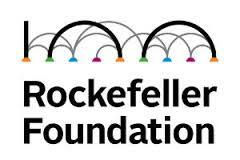 Inagural City of the 100 Resilient Cities Network – In December 2013, the City of Oakland was selected to be one of 100 cities chosen by the Rockefeller Foundation to join the 100 Resilient Cities Network. Top 10 Most Liked US City – In November 2013, Oakland was ranked as one of the 10 most liked cities in the U.S. by Money Journal. Top 10 Most Walkable City – Oakland ranked top 10 in the 2011, 2013, and 2014 rankings of Most Walkable U.S. Cities and Neighborhoods. 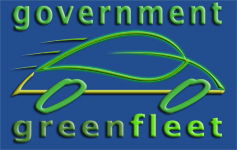 Government Green Fleet Award – In November 2013, Oakland was ranked #35 on North America's Government Green Fleet List. Top 5 Greenest City in th U.S. – SheKnows ranked Oakland at the #1 Greenest City in the U.S. in April 2013. Top 20 Urban Destinations for Nature Lovers – In May 2013, Oakland was named the 4th best metro area for people who love nature by TravelNerd. Top 12 ArtPlaces – Oakland was ranked the 7th top ArtPlace in the United States in 2013. 7th Highest Bicycling Rate in the Nation – According to the United States Census Bureau, as of November 2012 Oakland had the 7th highest bicycling rate in the U.S.
50 Best Cities – Oakland was ranked #31 of the America's 50 Best Cities in 2012 according to BloombergBusinessweek. Top 5 Greenest City in America – In June 2012, Oakland was ranked #5 of the top 30 Greenest Cities in America by Corporate Knights Magazine. Top 10 Greenest Real Estate Markets – Oakland was named the 10th greenest real estate market in America by Cushman & Wakefield in November 2013. Most Exciting City in America – In July 2012, Movoto ranked Oakland the #1 most exciting city in America. Top 20 Can-Do City – In September 2011, Oakland was ranked #2 in Newsweek Magazine's '20 Can-Do Capitals'. Top 10 Most Active City – Oakland was named the 3rd Most Active City in America by Men's Health Magazine in June 2011. Bicycle Friendly Community – In September 2010, Oakland was recognized as a Bicycle Friendly Community by the League of American Bicyclists, one of only 18 communities nationwide to receive an award this cycle. Top Ten City – Oakland was ranked 4th among U.S. cities over 250,000 in population by the Natural Resources Defense Council’s (NRDC) July 2009 Smarter Cities Rankings. Top Ten Green City – Oakland was ranked 4th among U.S. cities by the Mother Nature Network’s July 2009 Green Cities rankings. Top Ten Sustainable City – Oakland has been named one of America’s “Top Ten Sustainable Cities” in each of the last three rankings (2005, 2006, 2008) performed by Sustainlane. In 2008, Oakland was ranked the 9th most sustainable city of the 50 largest cities in America. Top Ten Green City – Oakland was named one of America’s “Top Ten Green Cities” two years in a row (2005 and 2006) by The Green Guide, an online magazine featuring green living tips, product reviews, and environmental health news, owned and operated by the National Geographic Society. Top Five Green City – Oakland was ranked #4 on the list of the 50 greenest cities in the country by Popular Science. Top Twenty Places to Live – Oakland was named one of “The 20 Best Towns in America” by Outside Magazine in July 2008. City Solar Award – Oakland was awarded a 2007 City Solar Award by NorCal Solar for having the most solar power-generating capacity installed among large cities in 10 counties around the Bay Area. Storm Water Management Award – In October 2007, the City of Oakland's Watershed Improvement Program received a First Place National Storm Water Management Program Excellence Award from the U.S. EPA. Oakland received this award for its projects, policies and guidance documents aimed at protecting headwaters, promoting storm water infiltration, and protecting and restoring vegetated riparian corridors. Phoenix Award – In 2004, The City of Oakland and East Bay Habitat for Humanity were awarded the prestigious Phoenix Award for their work to clean up and redevelop a brownfield site into a Habitat for Humanity housing development for four low-income families at the corner of Fruitvale Avenue and Davis Street. 4 Stars for Climate Protection – In 2001, Oakland was awarded 4 stars (out of 5) by ICLEI – Local Governments for Sustainability for its efforts to measure and reduce greenhouse gas emissions that contribute to global warming and local climate impacts. Mayors Climate Protection Award – In June 2008, Mayor Dellums was one of only a handful of mayors to receive a 2008 Mayors’ Climate Protection Award Honorable Mention. Mayor Dellums accepted the award on behalf of the tremendous work being done by the city of Oakland at the 76th annual Conference of Mayors' meeting for Oakland’s innovative food scraps recycling program which will help curb global warming.